In this delightful collection of pithy and hilarious essays, stories and poetry, Gwen Petersen explains how her philosophy of life comes with a good dose of horse sense. Here's advice on how to fall off a horse with style, dressing to avoid embarrassing your equine friend, 1,001 uses for bag balm, perfecting the care and feeding of veterinarians and farriers, cattle drives and brandings, and falling in love all over again (with a horse, that is). 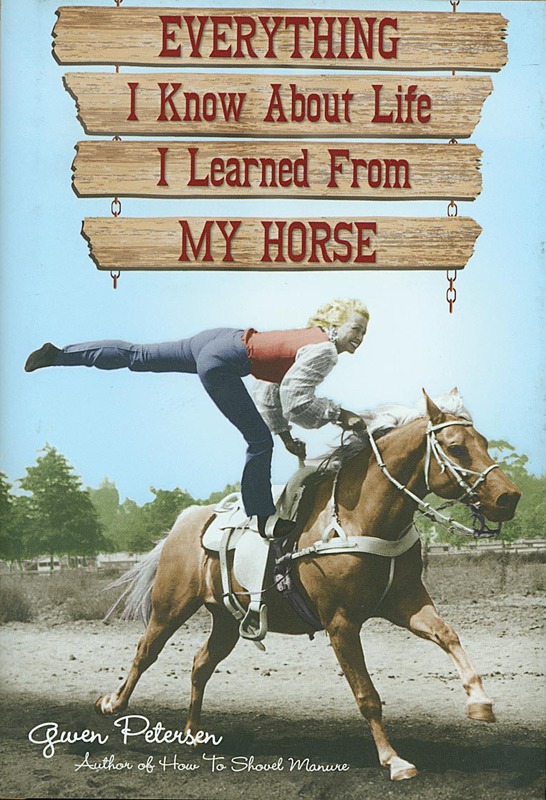 Petersen's words are as amusing as they are instructive, and whether you're a horse lover or simply someone in need of a down-to-earth laugh, this is a book you won't want to miss. About the author: Gwen Petersen is a writer and rancher near Big Timber, Montana, where she raises miniature horses and works on her attitude. I've way too many, now don't try to force me!" Raised on a bottle, a poor orphan colt. Give him a home, he's so sweet and good." More than enough to meet my needs..."